So yesterday's doctor appointment still has me sort of spinning. 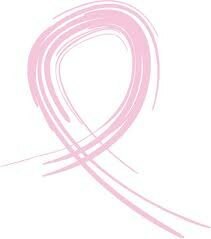 I'm trying not to worry about the mammogram on Thursday but because things don't tend to go well for us medically I'm worried. at least we'll know. I have been so emotionally exhausted for so long that I worry that if it is cancer that I won't be strong enough to fight it. I just keep telling myself that it will be fine. I also have an infection in my uterus and it is not the most comfortable thing in the world. I think I just got run down with everything we've been through. I just know that if I am sick we have to make some changes if I'm going to get better. I've had a million things running through my head and they all revolve around "if I'm sick" but I will tell you one thing, if I'm not sick, if I don't have cancer we are having a party! So I went to the doctor today. I was supposed to have a mammogram before i went because I've had a lump in my armpit but the insurance has been taking it's sweet time. I had one scheduled for December 21. She felt the lump in my armpit and said it was just an infected hair folical. Then she did a physical and found lumps in both of my breasts. They rescheduled the mammogram for this Thursday and changed it from a routine scan to a diagnostic mammogram. She said she could feel cysts as well. This is scary because breast cancer runs in my family. We should find out on Thursday what the diagnosis is. They said they can read them right there. So I'm trying not to freak out! Needless to say a lot of tears have been shed today. It has been a crazy week for us but full of family and friends and fun! We started out the week preparing for the wedding of my best friend. It was beautiful and it was a good reminder for Matt and I to just love each other! On Thanksgiving we spent several hours with my family! We haven't had a holiday with them in three years. I wish my brother Adam and his family and my parents could have been there, it has been so many years since we have all been together. Afterward we came home and spent time with Matt's brothers and our sister in law and our new baby nephew Axel! He's awesome! It didn't feel like thanksgiving and we're not sure why. I guess our daily craziness needs to slow down a little so that we can enjoy the holidays! This next week Claire turns 8 years old and gets baptized! We are so excited for her! Good things are happening. Matt is feeling a little better and it makes me so happy. He's still on oxygen but he's doing so much better! We had a date night on Thanksgiving and it was wonderful. I'm falling in love with him all over again! Now that he is feeling a little better I can be his wife rather than his care-giver and I have missed being his wife! I know there are a lot if changes in store for us and I'm ready. I just pray that they will be positive changes. I am so thankful for what we have even though it has been incredibly challenging because we still have each other. Today was a better day by far. I woke up dreading the day but it really went well from the get go! This was the first Wednesday that Matt did not have off and so it was a little lonely but it was still a good day. I went to get my nails done this morning. My friend Mandy is getting married in under a week and she paid for me to have them done with her nail lady who is absolutely fabulous and usually completely booked. It went so well and now she has agreed to take me on as a client! I am just praying that I can find the extra money to keep it up because I really need a little something for myself. So my nails look beautiful! I came home to all of my children and they were very happy to see me. We went into my bedroom and all plopped down on the bed together and while some played Wii and some wrestled I simply rested and enjoyed being with them. I did not think about bills that needed to be paid or how we were going to buy diapers or how I was going to find money to put gas in the van because the light just came on AGAIN! I didn't think about any of it, I just enjoyed my little one's. It was such a wonderful afternoon. I think a lot of my ability to enjoy came from a great relief society gathering we had last night about prioritizing, managing our time and slowing down. There was a lot of great things said and I realized that I have let a lot of things get in the way when I should just be enjoying my family. I wasn't going to go last night. It was a huge internal battle to go but ultimately what got me there was the fact that I was just too tired to get the kids put in bed and I knew if I went I wouldn't have to. Selfish? I know. It was the best selfish act ever. By the time I got home the house was quiet and Matt and I were able to relax and enjoy a movie together. It was so great. I am so thankful that I went to relief society and next time maybe it won't be such a fight with myself to get there! Mammogram, Tears and Tired, Oh My! This week has been filled with up's and down's for me. I have been very emotional. I have tried very hard to keep busy because I seem to feel better that way. Unfortunately not everyday can be filled with things to do...well that's not true. There is plenty I should be doing but finding the motivation to do them is my problem. For a while there I really started to feel better but another round of depression has reared it's ugly head. I am grateful for the things we have, a roof over our heads, family to support us and of course each other. These are just a few but I feel that I have to give a few examples lest people think I am ungrateful. I recognize that we have been blessed, however it is hard to remember those blessings amidst the trials. With this last surgery that Matt had he was out of work for a week with no pay. We knew that it would be hard but there was no way around it, he was in no shape to go back to work. Perhaps if it had been a single hernia repair but 4 hernias repaired at once would knock anyone flat. I'm surprised that he was only down a week! So as the medical bills roll in and the paycheck doesn't it is hard not to get frustrated and down. I am not working right now and to be honest I feel worthless. Here my husband has undergone 4 major surgeries in one year and he is still working and I am home having a hard time getting out of bed each morning. I have prayed so hard to my Heavenly Father for guidance and have received a firm answer that I am not to return to work full time. My place is home with my children. They need me to help them through all that is happening to our little family but honestly I feel like I am failing at it. How can I help them when I can barely function on my own? Last week there were days when I couldn't even make myself shower. That is when I knew things were really bad. This week I am doing better at getting showered and dressed but that is about all I can make myself do. When Claire and Ivan leave for school I shut down and poor Nora and Naomi are bored out of their minds. Sesame Street and Tangled have been a godsend but I feel so guilty for not doing more. I used to take them out to play, I used to read to them and take them to the park, now I lay on the couch while they watch tv. It doesn't help that the fibromyalgia has been so much worst since we moved back. There are so many different factors that aggravate this condition and we seem to have all of those factors in our lives. I want to get better, I want to be better for my children. I know I need to go back to counseling but I'm terrified to go. I don't know why, it's not something new to me, I've done it a lot over the years but now it just seems like one more thing to do that I don't have the energy for. I just haven't felt good for a long time and it's getting worst instead of better. At the end of this month I have a checkup with my doctor and I'm hoping we can fix some of the physical symptoms. I also have to have a mammogram. I have had a lump in my armpit for about 5 months now and it can't be ignored anymore. I'm just tired. But it's nothing new and people are tired of hearing that from me I'm sure, so I'll shut my mouth and do my best to not be so dang tired. Compared to most, this week was slow. I am so thankful for that! There were several days where the kids and I were able to just relax. I spent a lot of time with my friend Mandy and we had a great time. We took the kids for Halloween pictures, we decorated cookies and twice we got together with our hubbies to watch movies. It was so great to have date night again! We are all going to try to get together once a week. Matt and I really need to start having some fun! I was really not looking forward to Halloween this year. I knew that Matt would probably not feel up to trick or treating and I really didn't want to do it alone. He was such a trooper, he went! He was less than 2 weeks out of surgery and full of metal clips holding an 8x10 mesh in place inside his abdomen and he walked around the whole neighborhood with the kids and me! It was great. The kids had such a great time and I got some great pictures of Matt with them. I can't wait to get the rest of my scrapbooking stuff out of storage to catch up on his books!